This is one of the unique pallet project surely. 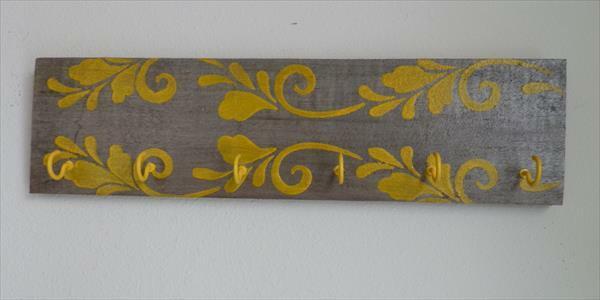 You can use this as rustic jewelry or key holder. 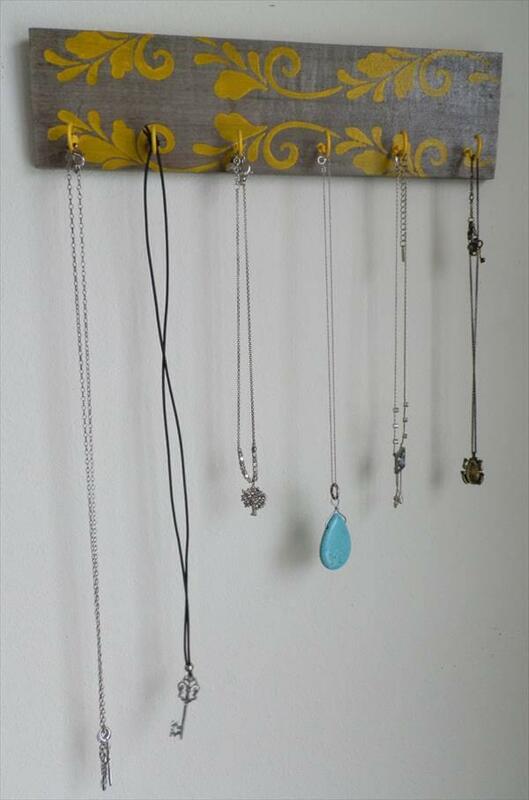 The jewelry hanger is approximately 12.5 x 3.5 x 1.5 including hooks. I have sealed the entire thing so that there would not be any wear and tear. 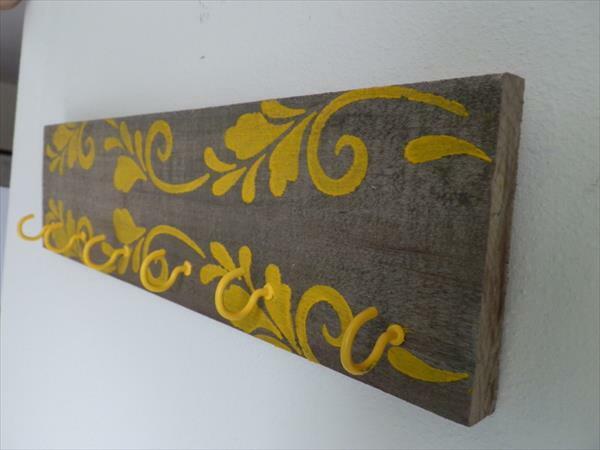 The materials that I have used to complete this project are up recycled pallet wood, sealer, paint and hooks. 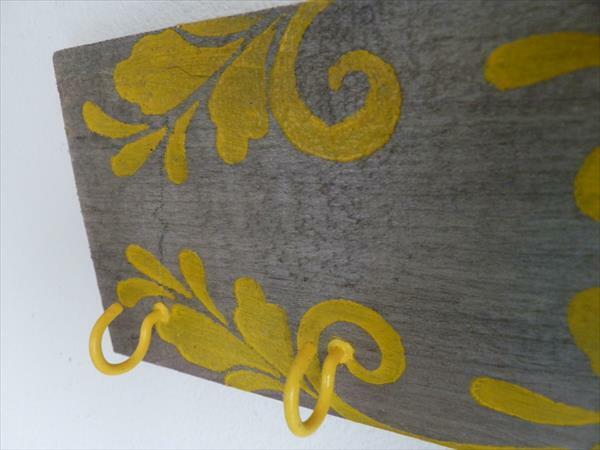 The gray colored wood really pops with the mustard yellow flower patterns and has matching yellow hooks. You can organize it in the way u like.